Nvidia has admitted its Turing GPUs are off to a slow start and is currently trading 14% down after bearing all in a telling press release. The green team has now updated its financial outlook for Q4, swiftly chopping $500 million off its revenue as it reevaluates its guidance for the quarter from $2.7 billion to $2.2 billion. It’s all down to poor gaming and data centre revenue, its core business, which fell massively short of what Nvidia was expecting. Excess mid-range channel inventory – or simply too many GTX 1060s – has been a bug bear for the company every since cryptocurrency took a turn for the worst and kicked the proverbial bucket. Nvidia expects this to deplete by, at the latest, April. But that’s not the only issue the green team’s facing. The drop off in demand from the Chinese market, or “deteriorating macroeconomic conditions” as Nvidia puts it, has also impacted the consumer demand for Nvidia’s GPUs. Data centre demand also stifled as customers became “cautious” of the market, yet Nvidia remains confident that it still has the leading edge when it comes to AI and HPC applications. 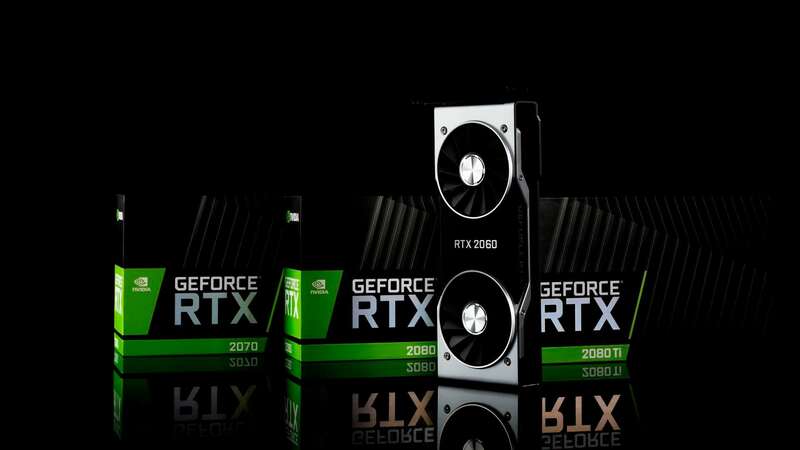 The cheapest Turing card right now is the RTX 2060, which still costs a whopping $349, and the lineup hits top shelf with the RTX 2080 Ti at $1,199. Nvidia admits to a whole lot more, too. The mid-range GPU oversupply did cause Nvidia to delay the Turing launch, as often speculated. Also, Huang admits that gamers need more convincing of the benefits of RTX – those two games utilising the Tensor and RT Cores right now just aren’t going to cut it for consumers. The green team also confirms $120 million in charges for “excess DRAM and other components” due to the revenue guidance and poor market conditions. To make things worse, TSMC has also reportedly suffered a manufacturing fault, affecting the 12nm manufacturing node Nvidia utilises for its current GPU lineup. Huang’s letter to shareholders can be read in full here. Nvidia’s fourth quarter earnings call will take place on Feb 14, 2019 at 2:30pm PT.